The guys from The Beerblefish Brewing Company had the good fortune (?!) to be standing opposite His Nibs at the Fine Food North Show in Harrogate, and they all got talking – as you do at these things. My name cropped up in the conversation, and before I knew it, I was being handed a quintet of craft Ales, Lagers and Bitter to sample and review. 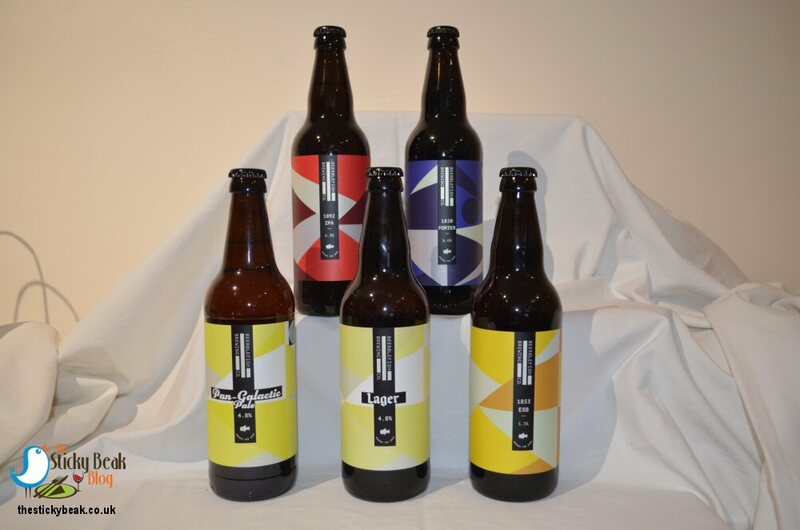 The Beerblefish Brewing Company team do like their eye-catching funky labels and the whole range of 500ml bottles co-ordinates nicely; yes I know, girlie observation #sorrynotsorry. This team also have a social conscience, aiming to challenge uneven representation in society, and offering new career opportunities for veterans. They also support children’s charities; all round good guys, this lot. Now I’m no stranger to beers in the general sense, having done a brewery tour at Derventio brewery in Derby a while back; to say I’m knowledgeable though would be stretching the point a tad too far I fear! But I guess that’s what puts me in a great position to try these drinks – I have no preconceptions at all. We kicked our tasting odyssey off with the 4.8% abv Lager, and this is a really accessible lager for newcomers (like me) as it has a light fruity flavour. It is what I would describe as a straight-forward, uncomplicated lager i.e. it is subtly hoppy in taste, nice and gentle on the palate. This is a beautifully refreshing lager, and it went down very nicely. 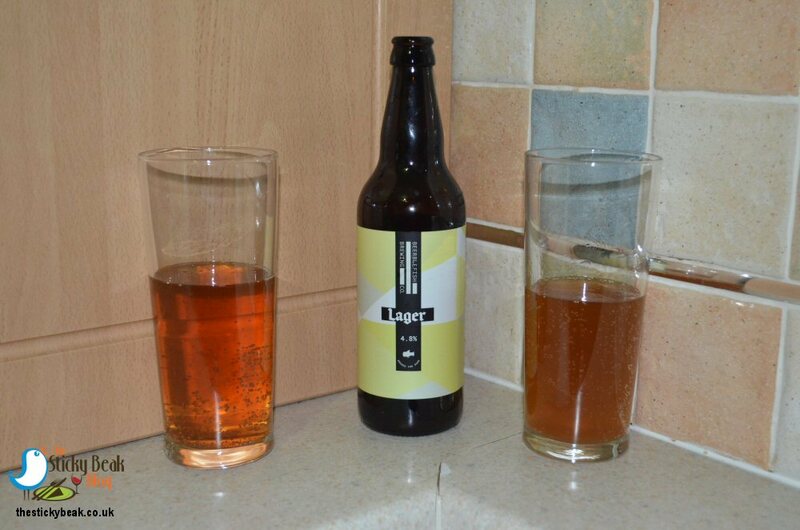 In a complete contrast to the easy quaffability of the lager, the next offering we tried was the 6.9% abv 1892 I.P.A. This had a really robust taste with deep Malty and yeasty notes, so not one to start your Ale journey with; you definitely need to build up to this one! It does linger nicely in the mouth and fans of I.P.A’s will go nuts for it I’m sure. Our third tester was a bit more back to familiar territory for me, hurrah for the brilliantly named Pan Galactic Pale Ale that comes in at 4.8% abv. This is a super, fruity little number that scores high on the quaffability scale. The Man Bird and I both thought this has got more “clout” than the 4.8% lager, but certainly less than the 1892 I.P.A. At this point we decided to call it a night and resume our sampling the next day so that our taste buds didn’t get too overwhelmed. Day two of project”supping all the ale” began with the 1853 ESB (Extra Special Bitter)that comes in at 5.3%abv. I tell you what, this couldn’t wait to get out of the bottle – talk about lively when it was poured! His Nibs was slurping loads of froth off the top in order to pour more into the glasses – big girl *chortle*. I would say that this is kind of mid-range in terms of hoppy- and malty-ness, and it has a wonderful fruity character. For dinner that evening we’d cooked Chicken Thighs in The Chilli Jam Mans Louisiana Wing Sauce (Chilli level 5/10, so fairly hot) and this bitter went really nicely with it. The last drink we had from The Beerblefish Brewing Company was the 6.6%abv 1820 Porter, so with a little tinge of regret that our adventure was coming to a close we cracked the bottle open. This is a rich, dark chocolate colour when poured out of the bottle, matched by an equally delicious note of chocolate to its taste too. 1820 Porter was surprisingly soft and mellow on the palate, whilst managing to be deep and satisfying at the same time. I actually didn’t expect to like this anywhere near as much as I did.